Once again I failed miserably in my efforts to get up and out of camp at a respectable hour. 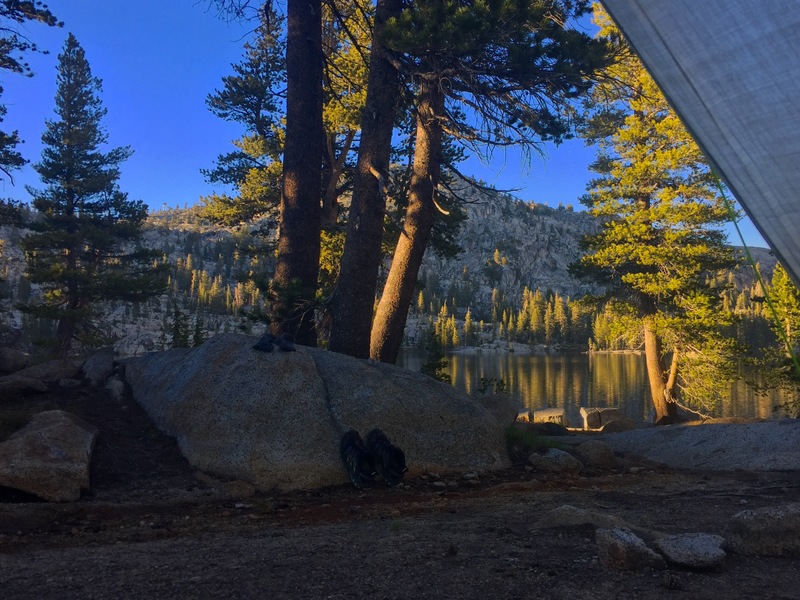 During the High Sierras I had convinced myself that when the temperatures were more conducive to early starts, I would have absolutely no problem getting up and out in the mornings. Clearly, I was wrong. Now that the nights are warmer I find myself sleeping far more soundly and waking up is really hard. Lots of thru-hikers use the alarm on their phones but I was resistant. Alarms are for the real world, for grown-up people with proper jobs, for deadlines and stressful responsibilities. I didn’t want any of those things and moreover, the thought of being suddenly woken by a loud and unnatural sound in the middle of the night was very alarming! A Picture Perfect Alpine Meadow ! I was determined to leave before 8am. I was close, so close but just as I was collecting water I was accosted by a crazy woman! My guard was down and before I knew it I was fully embroiled in a discussion about the virtues of Buddhism as a philosophy rather than a religion. By the time I’d convinced her that she was preaching to the converted, it was well after eight and I’d been eaten alive by mosquitos! My magical “Hike The PCT App” indicated that it would be a tough day with over 4,600ft of gain and a 10,000ft pass. This was not the “easy” I had been hoping for now that the High Sierras were behind me. 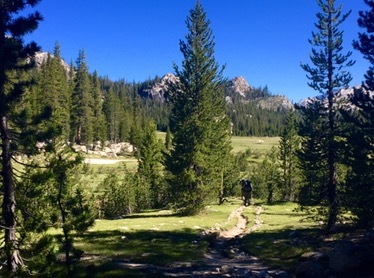 The initial climb wasn’t too bad and after about 5 miles the trail led out into a beautiful high alpine meadow. It looked absolutely perfect and it was … until I stopped! Hiking at 3mph was just enough to keep them off, but the moment I stopped or even slowed, I was completely engulfed in a massive swarm of bloodthirsty buzzing mosquitos. I consider myself to be pretty well travelled and I’ve experienced some bad “insect” situations, but this was by far the most insane thing I’d ever had to deal with. I covered myself with neat DEET and still, they attacked. The only solution was to keep hiking … If you’re going through hell, keep going … Right? 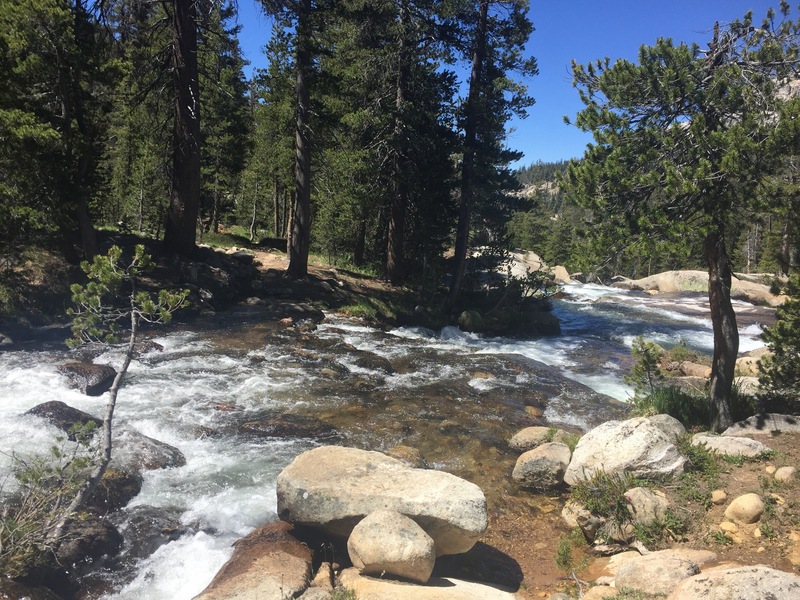 Another joyous feature of the day was the numerous creek and river crossings. I lost count at seven. I changed my socks three times and developed my first hole. It wasn’t shaping up to be quite the picturesque stroll through Yosemite that I’d imagined. I bumped into Curious George and Happy Trails a couple of times, but mostly I walked alone. I felt lonely today and my internal dialogue was full of reasons to quit and excuses to stop. But the trail won’t even let you quit when you want to. I was at least a full day of hiking away from anywhere! I tried desperately to limit my expectations before embarking on this crazy journey. However, one of the few thing that I had really been looking forward to was the complete freedom that the trail offered. In my mind I had expected to be able to hike as long as I wanted, camp anywhere I wanted and do exactly as I wanted. The reality of thru-hiking the PCT is absolutely nothing like this. Everything has to be planned with an almost military precision. I am constrained by my food supply and forced to make at least 20 miles a day. I feel far from free, I miss the comforts of home and I’m ready to stop. The fact that I can’t even do that makes me even more pissed off with the whole thing. I hike on, frustrated and angry, tired and emotional. It’s late when I reach Smedberg Lake. Apart from the millions of mozzies, I camped all on my own again. Exhausted, I force down my rehydrated dinner and generally feel pretty sorry for myself. Just 3 more days and I can quit … I tell myself this over and over again as I desperately try to stay awake long enough to enjoy the sunset. 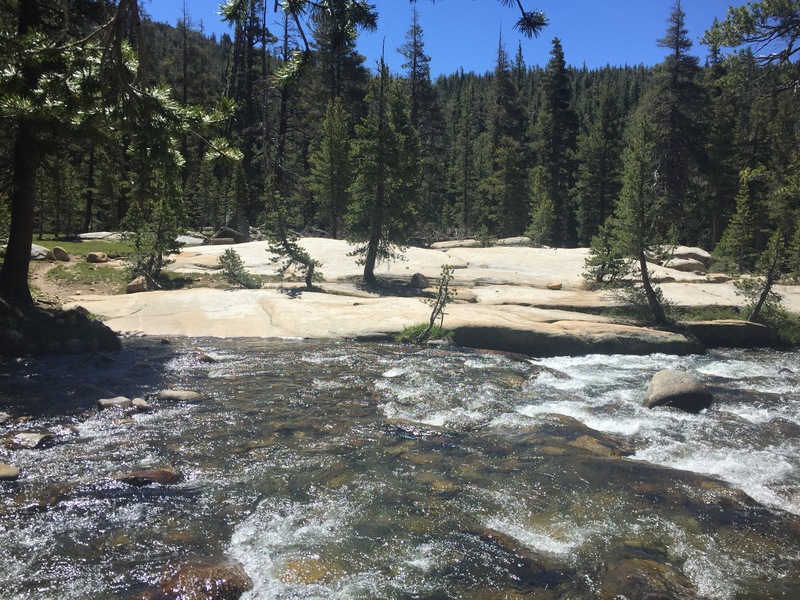 Previous Post PCT Day 71 – Yes, Yes, Yes … Yosemite!! 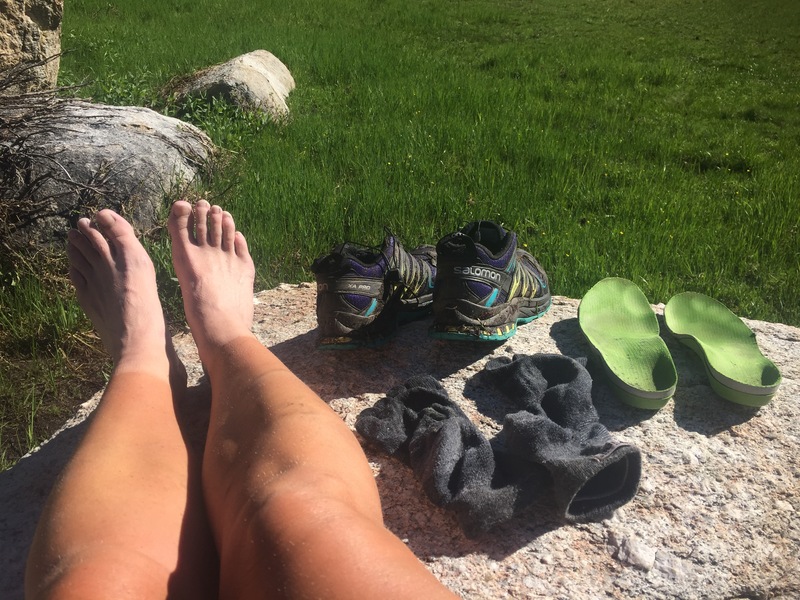 Next Post PCT Day 73 – Oh The Horror! Hit me up when you are in Cascade Locks, so we can do a Bridge of the Pods. I am interviewing hikers about their journey! Hang in there. If you have faith in God he is there for you. I talk to Him all the time while out hiking and it really helps. Wishing you the best and praying for you. I have also enjoyed your journey. I think you need a NEW state to play in to get your MOJO back! Take a day off and eat all the fruit you can then beam yourself up to Washington/Oregon border. Cross the Columbia River bridge, look out towards the sea and move on! You are on a journey of a life time, 5 months is nothing in the span of your life and memories will remain forever. Hang in there and happy trails. I so want to continue reading your blog. I hope you’re not really done. Yet, you need to do what’s right for you. Be well and keep writing – you’re quite good at it. I love your honesty on the toughness of the trail; I hope you can keep going. It looks so impossibly beautiful but sounds so impossibly hard. Is it possible to detach from the illusion of freedom of the trail as it sounds like that is the problem?? Pavlova has real fruit right? Yes please to the fruit !!! Yikes-I hope this isn’t the end Hollywood. But whatever it is, I’ve thoroughly enjoyed your posts and wicked sense of humor. I keep cheering for you from my sofa!